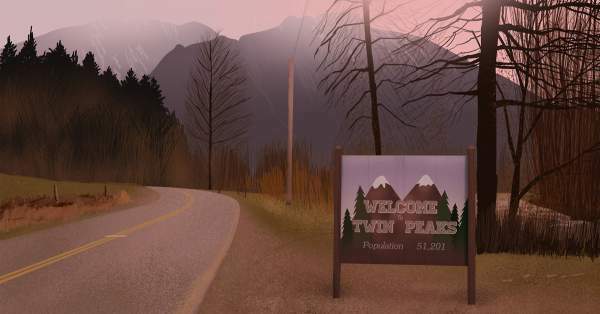 Twin Peaks Season 4: The upcoming sequel of Twin Peaks tv series is not going to release soon. It has been one of the most loved shows of all times. And recently, it featured one of the best finales ever. However, it failed to answer a lot of questions. Rather, it asked much more. As a result, it has arisen many fans to wonder that there should be more follow-up story after it. It can’t be the end of the story of agent Dale Cooper. It’s because the final moments of the finale episode pointed towards many aspects which David Lynch and Mark Frost should follow, maybe in future. But, there hasn’t been any official word on the return of season 4 for Twin Peaks. It is being speculated that it won’t return until 2021, if ever. Throughout the last season, there was no clue that there could be more story to this series revival. However, open endings have been the specialty of Lynch. Also, there’s no reason to change the nature of things. The Showtime president and CEO David Nevins was also asked about the s4 return. He said that it was always meant to be just one season and nothing more. He added that fans are speculating about the sequel, but there has been no discussions within the network or team rather it’s just the fans asking him about it. However, the Programming head Gary Levine told us that they have kept their door always open to David Lynch. He revealed that he don’t know if he wants to make one more installment. He took a lot of effort and worked 18 hours in a row of a series to get it done. It has been remarkable journey. Levine said that he is satisfied that fans are loving it. Showtime seems to support the show. But, the more possible reason for the barriers is its steadily dropping ratings. TwinPeaks has drawn an average of 300,000 live viewers per episode for this last season. But, on the whole, it has garnered over 2 million viewers per episode. Nevins believes that the show is still a success as more than average percentage of viewers can to stream later on. After a while, director Lynch also broke his silence over the season 4 possibility. When asked if fourth installment is one the cards, he said that it would be too early to say if it could happen. Even if that meant to take place, it would take a couple of years. It’s because it took him 4.5 years to write and film the third installment. After the seson 3 ended, co-creator Mark Frost released a book called The Final Dossier, which answered some questions which audience was looking for. Also, he emphasized while talking to TheReporterTimes that it wasn’t the end for him and Twin Peaks. There’s no updated on this so far. The season 4 can’t happen without MacLachlan’s Dale Cooper whenever it returns. We expect the likes of Sherilyn Fenn (Audrey Horne), Madchen Amick (Shelly Johnson), Laura Dern (Diane Evans), Naomi Watts (Janey E Jones), Grace Zabriskie (Sarah Palmer), Michael Horse (Deputy Chief Hawk), Dana Ashbrook (Bobby Briggs), Sheryl Lee as Carrie Page, and, of course, Lynch himself as Gordon Cole. Don’t forget to share it on social media sites. What are your expectations? Stay tuned to TheReporterTimes for more.